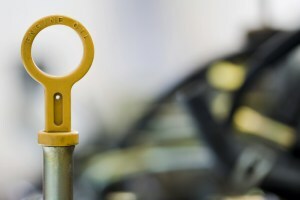 Ever wonder why engines have that long wiry thing with the small plastic handle? A.K.A. the dipstick? “Come on, Mark, it’s for measuring proper engine oil volume,” you say. Sure, but here’s the million-dollar question: How often should you pull the dipstick and check your oil level? Survey the masses and you’ll find that most people only touch the dipstick after they change oil to verify the oil level. Shame on you, masses. Don’t you care about your engine? Continue reading to find out why checking oil frequently is important to protecting your engine. Yes, they do, whether you realize it or not. It’s a natural function of lubricating the piston ring/cylinder liner interface. The rings must seal against the liner for the engine to build compression. Compression builds the horsepower we all love so much. Without that oil film, we’d turn the key, back the truck out of the garage and – BANG! – there goes your engine. Some of the oil film, however, burns with every piston stroke. Ask yourself again: why do engine’s have a dipstick? Is it really just to verify the proper oil level after an oil change? Or should we be checking oil more frequently as part of our daily driving routine? Now that we know all engines burn some oil, we should ask ourselves how long it has been since we lasted checked oil. Pop the hood and pull the dipstick to ensure the engine oil level resides in the safe area on the dipstick. Top-off as needed lest you become that unfortunate person who spills coffee on himself when the engine goes BANG while backing out of the garage. So, where is the oil going? Maybe you’re wondering what happens to the oil that burns in the combustion chamber. If you own a diesel pickup built in or after 2007, listen up. The oil burns and is pushed into the exhaust stream, just like the byproducts of burned diesel fuel. All 2007-and-newer trucks are equipped with a diesel particulate filter (DPF). If your truck was built in or after 2010, it has a selective catalytic reduction (SCR) system. These two devices manage the byproducts of diesel combustion and reduce emissions. The DPF collects and separates the partially burned byproducts of diesel fuel, similar to how an air filter separates and removes airborne dirt particles from the air. These particles collect in the filter until they begin to restrict airflow. At that time the engine reacts and dumps fuel into the exhaust stream to raise the exhaust-gas temperature and help burn the soot byproducts. The system effectively reduces emissions and is built into nearly every diesel application these days. Example of a diesel particulate filter. What happens to the burned engine oil as it enters the exhaust stream? Unfortunately the burned byproducts of engine oil lodge in the DPF and remain there forever. 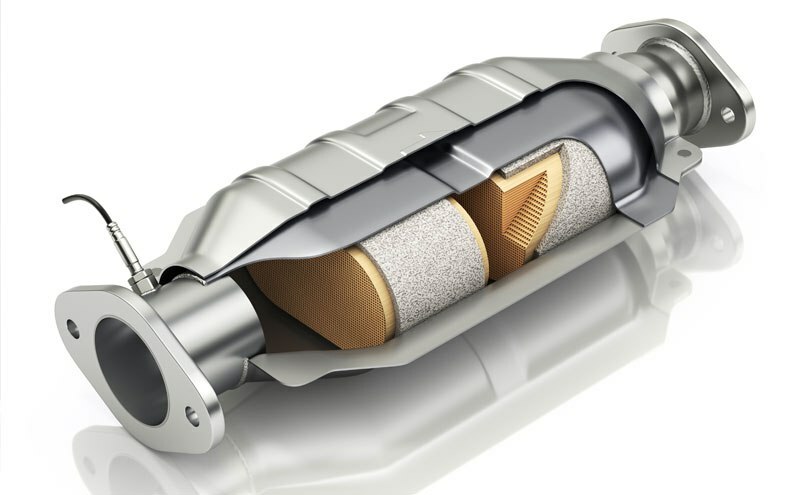 Alternatively, you can remove the DPF for cleaning or replacement. 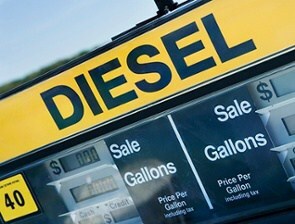 The problem with oil consumption in diesels is that it can prematurely plug the DPF, rendering it useless. So, let’s reiterate: all engines burn oil, which can plug the DPF. That’s the reality with today’s technology. That’s another reason why it’s important to pull the dipstick on a regular basis and track your oil consumption. The other unfortunate part is that you can do very little to affect how much oil your engine burns. Design tolerances and engine manufacturing affect oil consumption the most. All is not lost, however. Some engine oils offer better protection against oil consumption than others. AMSOIL synthetic diesel oils, for example, have low rates of volatility (burn-off), reducing oil consumption. 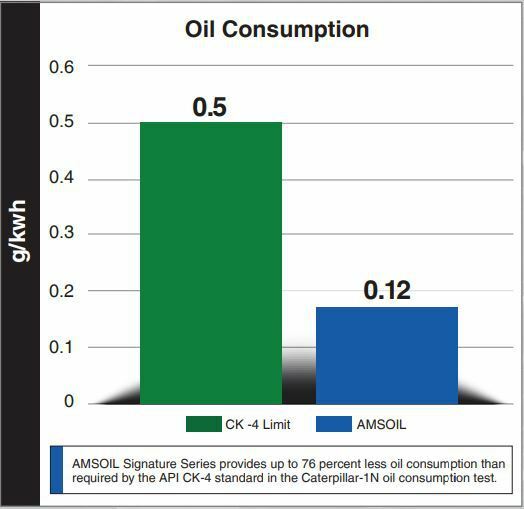 AMSOIL Signature Series Max-Duty Synthetic Diesel Oil provides up to 76 percent less oil consumption than required by the API CK-4 standard in the Caterpillar-1N oil consumption test. AMSOIL synthetic diesel oils are formulated to protect not only your engine but your exhaust after-treatment system. So, if you are a diesel burner like myself, your choice of engine oil is important. Choose AMSOIL synthetic diesel oil and start protecting your exhaust system. At the very least, check your oil on a regular basis to ensure the appropriate level.